Thanks to the nature of the connected world we live in, the word ‘app’ is familiar to almost everyone who owns or wants to want a high-tech electronic device. Providing a collection of specific information or just a product for enjoyment, apps are now a fast way to gratify our senses. While most of the apps had been welcomed for mobile devices such as smartphones and tablets, larger pieces of technology are now also maximizing the power of the app. More and more, automobiles have increased their mobility through newfound on-board, wireless technology. Since 2007, Ford Motor Company has worked together with Microsoft to offer a popular solution that connects a cell phone or handheld devices such as MP3 players with a vehicle’s on-board technology. Called SYNC, the voice control of devices was possible with minimal intrusion on the driver of a Ford product. As smartphone apps rapidly grew in popularly, the Ford SYNC solution underwent an expansion in late 2010. A downloadable app itself for Blackberry, Android OS and Apple devices, SYNC AppLink is designed to provide voice control of compatible apps. Pandora, Stitcher Smart Radio and Twitter-connected Orangatame OpenBeak are some app that can currently be operated over Ford SYNC AppLink voice commands. Assuring consumers that the SYNC technology continues to remain exciting and fresh, Ford Motor Company has collaborated with the 2012 TechCrunch Disrupt Hackathon being held in San Francisco on September 8th and 9th to offer the SYNC AppLink Developer Challenge. In the Ford-hosted event within an event, 10 aspiring app development teams will be presented with an opportunity to be connected to over a million vehicles now enabled with the SYNC AppLink technology. Receiving access to the AppLink application programming interface (API), the winning team will have their app part of Ford’s display at the Consumer Electronics Show (CES) in Las Vegas in 2013. This is Ford’s second time appealing to up-and-coming app developers through the TechCrunch Disrupt Hackathon. Last year, the event resulted in location-targeted deal app ROXIMITY winning the 2011 competition. 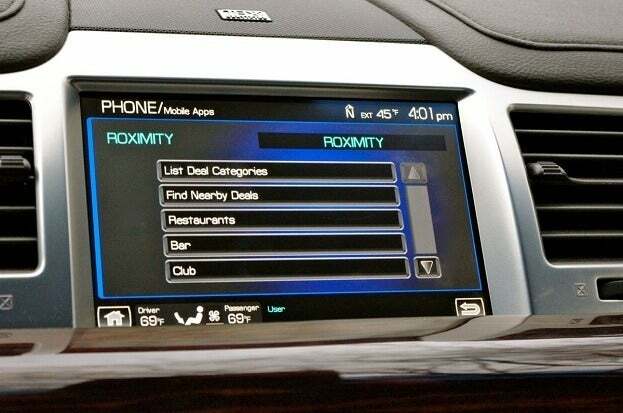 Enabled with Ford SYNC AppLink equipped vehicles, the ROXIMITY app can relay nearby deals for products and services verbally. First made available on the 2011 Ford Fiesta, SYNC AppLink has since been expanded across the Ford and Lincoln line-up of vehicles. The Ford F-150, Ford Mustang as well as the Lincoln MKZ currently receive SYNC AppLink compatibility. In the 2013 model year, the Ford C-Max Hybrid SE as well as the new Ford Fusion S and SE models will join the list of SYNC AppLink connected products. No Comments on "Ford Woos Creativity for SYNC AppLink through Developer Challenge"